FORESPAR® SETS THE STANDARD IN DOWNWIND SAILING EQUIPMENT! Sail faster and easier downwind with a Forespar® composite spinnaker pole. Forespar® has perfected the art of manufacturing carbon fiber equipment not only for the blue water yachts and racers but now for the recreational sailorl. We made our first carbon fiber spar in 1979, years before anyone else in the U.S. And, we have manufactured standard composite spinnaker (and whisker) poles for more than 15 years. 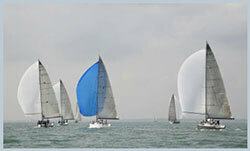 Forespar® is the world leader in standard composite spinnaker poles, whisker poles and reaching struts. Spinnaker poles are available in standard sizes up to 6-inch diameters, and are offered in double tapered as well as parallel configurations. We also custom design and make carbon fiber poles or bow sprits specifically sized for your boat and the head sail(s) of your choice: code zeros, asymmetrical spinnakers, spinnakers or roller furling genoas. Typically a composite spinnaker pole is 40% lighter than a similar aluminum pole yet almost 50% stiffer. Fixed length whisker poles and bow spirits are 50% lighter that their metal counterparts. All Forespar® poles are manufactured in the U.S.A. and assembled in our California plant by professional riggers and composite engineers..
Forespar® carbon fiber poles available in deep epoxy clear coat or any Awlgrip color. Clear coated carbon fiber products require periodic recoating to protect against UV damage. Depending on geographical area levels of U.V. exposure, recoating may be needed annually. Recoating can be applied using High Gloss Clear #G3005 and #G3010 converter. Forespar strongly recommends white Awlgrip coating if poles are to be stored on deck or up the mast. NOTE: Please use our CARBON POLE ORDER FORM to specify your requirement. Please place your order with our Carbon Fiber Pole engineers. Forespar's composites division has years of experience in the production of high performance poles for racing and criusing boats. Weight reductions over similar aluminum poles are typically 50% or better. Poles from 2.5" to 4.5" diameters are straight tubes. Poles 4.5" and larger are available with double tapers. 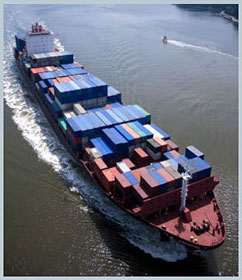 Forespar poles are produced from intermediate modulus carbon fiber and high performance epoxy resin systems. Three finish options are available: standard finish is "EZ Grip" as molded, optional Awlgrip color coats (matterhorn white unless other color is specified) or High-Gloss clear coat finish is available. 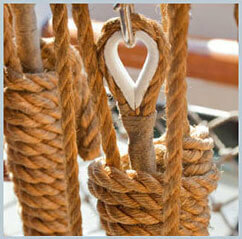 Forespar strongly recommends a color coat on any pole that is to be stored on deck or up the mast.